"Solari's future plays a big part in the next 'El Clasico' and if he loses again names like José Mourinho will be mentioned one more time. The manager that came from Castilla is under pressure and in a tough situation." Things are getting tougher for Santiago Solari, but he should not make too many changes from one match to another, as his team played well in midweek and almost got away with qualification. However, losing twice at home to Barcelona in three days - and say goodbye to two competitions - could be really bad for him. It would generate severe reactions from fans and press doubting his abilities and mentioning potential successors. Basically, I think he must use his best available resources when Real host Barca in La Liga on Saturday to try and go for the win or things might get nasty. Now, if the best players he has are Marcelo, Gareth Bale or Isco I can't tell. Only the manager could know, but of course from the outside it seems weird to see players of that calibre away from these kinds of important matches. They are experienced players used to these big stages, so I would say they could be a strength for the team. Solari's future plays a big part in the next 'El Clasico' and if he loses again names like José Mourinho will be mentioned one more time. The manager that came from Castilla is under pressure and in a tough situation. 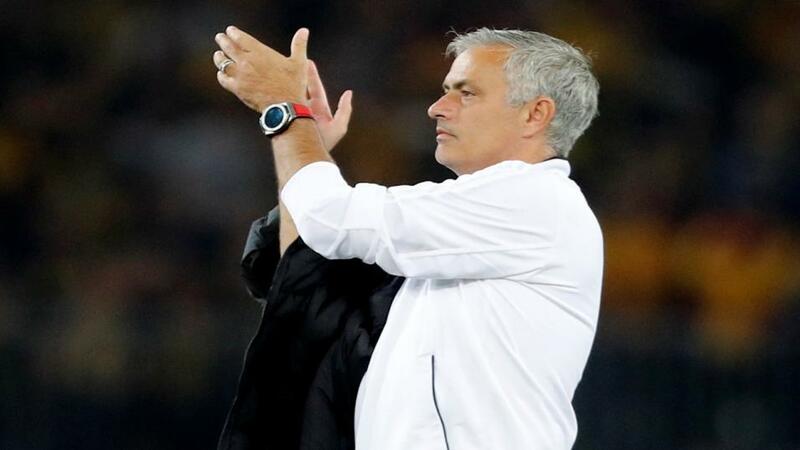 Mourinho is a great manager who already had his story at Real Madrid and will always be associated to a potential return, especially when the club is not going well and underachieving. As I said previously Luís Suárez is a player for the big occasion and he proved it once again in the midweek 3-0 win over Real Madrid with two more goals and a big influence in another, this coming after scoring at Sevilla as well. He loves high pressure matches and had the personality and cold blood to convert a penalty kick in such a way to emphasise how good he is in these kinds of moments. He knows that while he's playing for Barca he will score important goals soon or later, so he only must keep relaxed about it and keep doing his job. Barcelona are in great spirits to achieve another good result on Saturday. They go into the match very confident, and if they stay professional they can come out on top, but with such a big lead in La Liga even a loss won't be a drama for them. Real Madrid will be under real pressure and Barca can play in a relaxed way waiting for the right moment to strike their blow. In my opinion, they could do something similar to Wednesday's match, waiting for their rival to go forward and then counterattack with efficiency to score goals in the second half. Real Madrid need to win the game after Wednesday's defeat and they need to close the gap in La Liga, while Barcelona are relaxed and could wait for the right moment to attack. Both teams would rather be in Barca's situation before the game. Every time Madrid lose at home to his biggest rival without scoring, it's normal that fans and press remember Cristiano Ronaldo and his goals in these kinds of matches. He used to love these big matches and will keep being missed in these occasions, but he's gone now, and the team must move forward. They weren't efficient offensive on Wednesday and ended up paying for that. Now it's time to try to recover confidence with a victory against Barcelona on Saturday, as they are already out of the Copa del Rey and another loss will mean they are also out of the La Liga title race. Furthermore, losing twice at home to a rival could shake the group and motivate Ajax, who plays at the Bernabeu next Tuesday. The Dutch team is playing well, and Madrid needs to be careful they don't get surprised in the Champions League. Vinícius Júnior has shown once again that he is a great player, but he is still young and has a lot to learn and evolve in terms of experience, but he is doing an excellent job in his first season in Europe. I believe he needs to be part of a good phase of Real Madrid to develop his game even more, winning many matches and titles to catch some world attention. At Real Madrid he will have that chance to fight for titles every year, but he still has a lot to go before becoming a world class player. He was called up by Tite for the first time to the Brazilian national team. It was totally deserved, and he also benefited from the fact of playing at Real Madrid, but it won't be easy to achieve Neymar's level in the future, it would depend on his evolution as a player and on his achievements at Brazil and Real Madrid.